Last week we started a giveaway for Backup4all Lite (another product developed by Softland) and we received excellent feedback. We thought a similar promotion would be well received for novaPDF too, so as a result we are starting today a giveaway for novaPDF Lite Desktop. There’s no trick in this, everyone can obtain a free license just like a client who would buy it from our site (its price is $20). To benefit from this promotion all you have to do is visit this page and submit your details: Free novaPDF Lite. This is a time-limited giveaway (expires one week from now on July 17, 2012 on September 1st, 2012), you’ll have to submit your request as soon as possible to receive your license. On that landing page for the giveaway you will be asked to provide your email address. It’s exactly the same policy as for paying customers, meaning if you pay for a license you will receive it via e-mail. So after you submit your details be sure and check your inbox for a “novaPDF Lite Registration Key” e-mail. Providing your e-mail address helps you in the future too, because you will be able to recover your lost registration key and easily upgrade. We do not rent/sell or do any unlawful things with your email address, we just use it to deliver your registration key and notify you when an update is available (you have the option to opt-out anytime from those notifications, which are sent every other month). 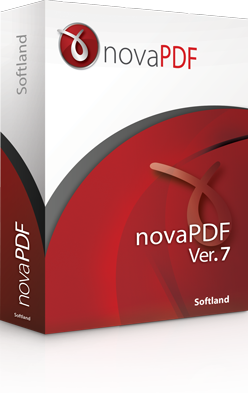 Don’t forget to share this giveaway for novaPDF Lite with your friends too, they’ll appreciate for sure a free license. This entry was posted in Giveaways and tagged giveaway, novapdf free, novapdf lite. Bookmark the permalink.